Change coming to NYC subway? few fixtures at the end of the platform. Is this just a test? 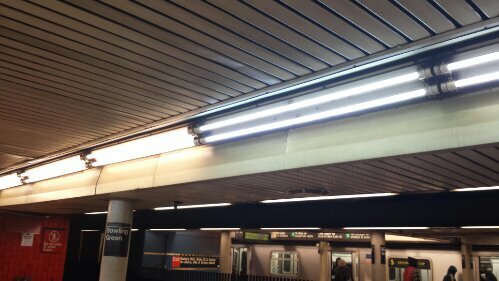 Could a massive retrofit of the T12 lamps throughout the NYC subway system be on the horizon?